M&M reportedly the largest tractor manufacture in the world has plans to open new assemblies in South Africa, Tunisia, Kenya, Morocco, Zambia and Ethiopia increasing their manufacturing process to increase their presence in Africa’s fast growing economy. M&M which already has dependent plants in Mali, Gambia, Ghana, Tchad and Nigeria for producing farm equipment will use their facilities for assembling their Bolero utility vehicle, light commercial vehicles as well as three wheelers for increasing volumes in a place which is steadily increasing people with disposable incomes. Pravin Shah, M&Ms chief executive for farm equipment, automotive and international operations was quoted as saying that the African market is opportunistic. They are starting from the bottom of the product strategy pyramid, where they plan to influence their product portfolio. This includes LCVs, three wheelers and Bolero so as to expand further into the African market. They also have big plans happening for the African market as the company plans on appointing a country manager to spearhead their growing expansion plans in the African market. They have also deployed a team of 7 to 8 people in key markets in this continent. 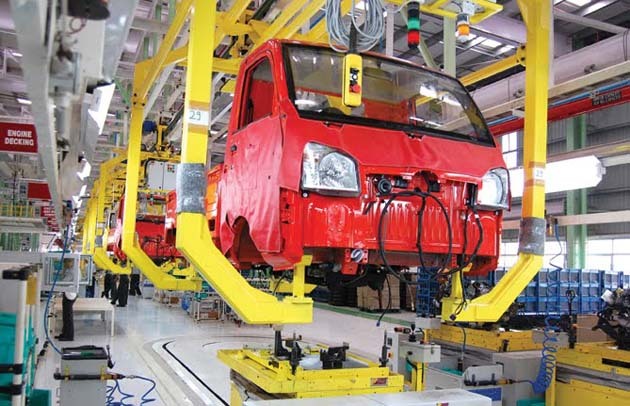 Mahindra currently gets 15 per cent of their export volumes from the African market. They plan on doubling this figure in the span of a year. Shah further added that they are present in 24 countries out of 53 and are the only tractor company from India. They are also among a handful of those companies which have set up assembly facilities in this continent. It was also reported that the company’s Mali based assembly plant was built by Angelique International, an export house based in New Delhi, along with support from the areas local government. Likewise, Angelique also owns the Tchad based assembly plant. Shah further reported that their strategy is to grow through their partners, who know more about the neighbouring market. Both of these plants will help create jobs for local residents, apart from fuelling the growth of agriculture.